Simms finally uncovers the truth about Boneyard. With Ballard’s help, he hatches a dangerous plan to deal with Forty Days. Problem is, Simms isn’t sure whose side he’s even on. Meanwhile, he meets up again with both Devi and Kelly. One meeting goes well and one goes very badly indeed. 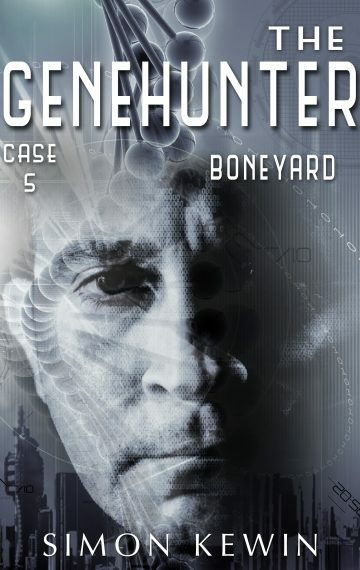 You might like to know that all five cases in the Boneyard cycle have now been collected into a single novel, The Genehunter, with added bonus material.